The first and most stunning feature about this watch is immediately obvious: the box is round, the watch is round, 360 degrees makes a circle…are you getting it yet? Yes, it has a circular screen. In person it looks nothing short of stunning. The aluminium frame and the edge to edge screen are truly impressive to behold. Sitting on my wrist it looks less smart-watch and a lot more just watch. I’ve been using Android Wear ever since June, so I don’t want to review the software again, since it’s the same on every watch. I do however want to talk a bit about what makes this watch different, and how it compares to the Gear Live. The hardware design, as mentioned above, is amazing. 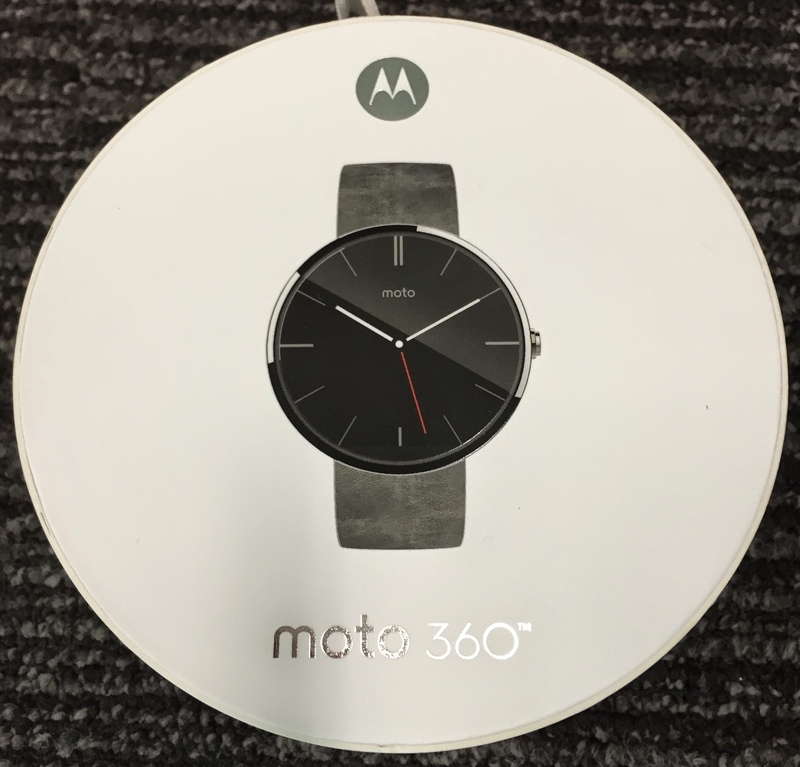 The watch faces are elegant, and you can customise them using the Motorola Connect app, something you can’t currently do with the Gear Live. The watch is incredibly light, and the band very comfortable. Unlike the Gear Live I sometimes don’t even notice it on my wrist. The heart monitoring (which I believe it does every 5 minutes by default) seems accurate, and gets a reading far more than the Gear Live could on my wrist. This is probably because it just fits better on me than the Gear Live did. The inductive charging cradle is a thing of beauty. I place the watch in it, and it gently levels itself and displays the time and current battery level in the new orientation. The processor is noticeably slower than the one in the Gear Live. I don’t give two hoots about tech specs, but the UI is quite often sluggish and unresponsive to immediate touch. The Gear Live didn’t have this issue at all. The ‘ambient’ mode is next to useless. On the Gear Live’s AMOLED screen, the watch is able to power down most of the display, while still keeping a power saving watch face visible. 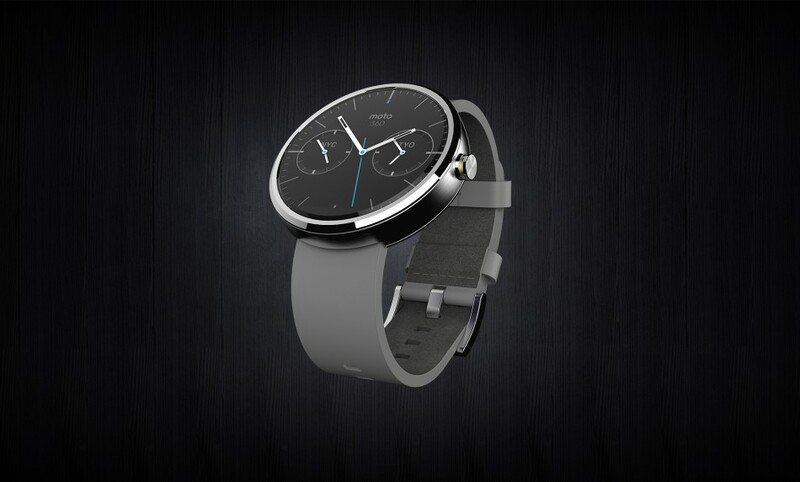 This means you can get two day battery life, while still having a watch visible at all times. The Moto 360 is capable of the same thing, but the ambient mode is too dim to be even remotely useful. I can barely see it in a dark room, and outside, nothing. Even when the ambient mode is on, the watch still tries to be clever and power down the screen when it’s not horizontal. I’m sure this seemed like a good idea to conserve battery, but the few times you do manage to catch it off is annoying. The Gear Live doesn’t do this, and it’s better for it. Even at full brightness, the screen is not as good outdoors as the one on the Gear Live. Those of you in the Apple Camp might have noticed that I haven’t even mentioned the little black cutout at the bottom of the screen. I find it ironic that the thing Gruber et al worked themselves into a frenzy about before the watch launched, turns out to be the least interesting flaw you could focus on. Your mileage may vary, but I stopped noticing it after the first day of using it. Overall I wouldn’t have spent my own money on this watch. There are just too many downsides to make it worth the price tag. The software is great, the case is amazing, but the internal hardware needs some serious work. Supposing however that you magically transplanted the screen, battery and processor of the Gear Live into this watch, well then I’d be throwing my money at you. I hope you’re listening Motorola.